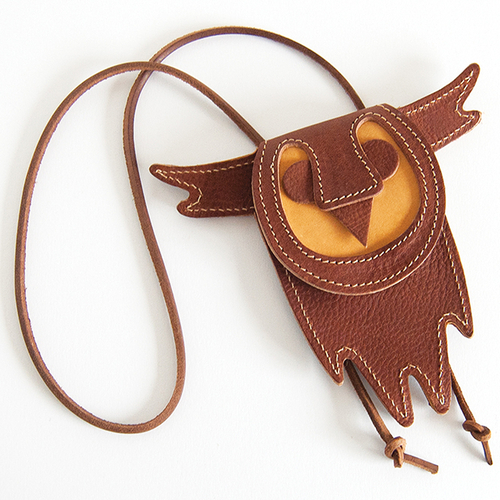 The second run of the Owler Pouches. A collaboration with Mark James, this Owler Pouch is 100% leather, handmade in London and limited to 45 pieces available exclusively through my shop. This beastie measures 16cm from ear to ear and 15cm from head to tail, with the pouch inside big enough to keep travel/credit cards and banknotes. The leather cord is adjustable to fit, whether you want to wear it around your neck, over your shoulder or any other canny arrangements. We recommend you choose the registered/recorded option for these items as stock is very limited.